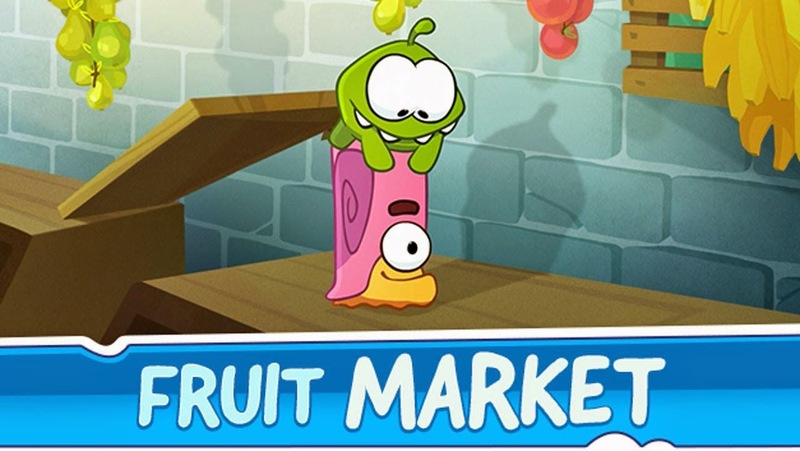 "Cut The Rope" and "Pudding Monsters": Episode 27 (Fruit Market) of Om Nom Stories and "Cut The Rope 2" ver. 1.1 "Fruit Market" Update !!! Episode 27 (Fruit Market) of Om Nom Stories and "Cut The Rope 2" ver. 1.1 "Fruit Market" Update !!! It's quite easy to find the "hidden star" in this episode but if you need help, view the Answers page. This is also Puzzle No. 29 in the Puzzles page. The iOS ver. just released the 16th box "Pillow Box", about 1 month later than the Android ver. Last time the iOS ver. used to have new updates faster than the Android ver., things have changed recently.